Our Wonderful sponsor for the January Challenge. We will have 2 Lucky Winners this Month! Heather Powers of Humblebeads handcrafted art beads inspired by nature, art history and the world around her. 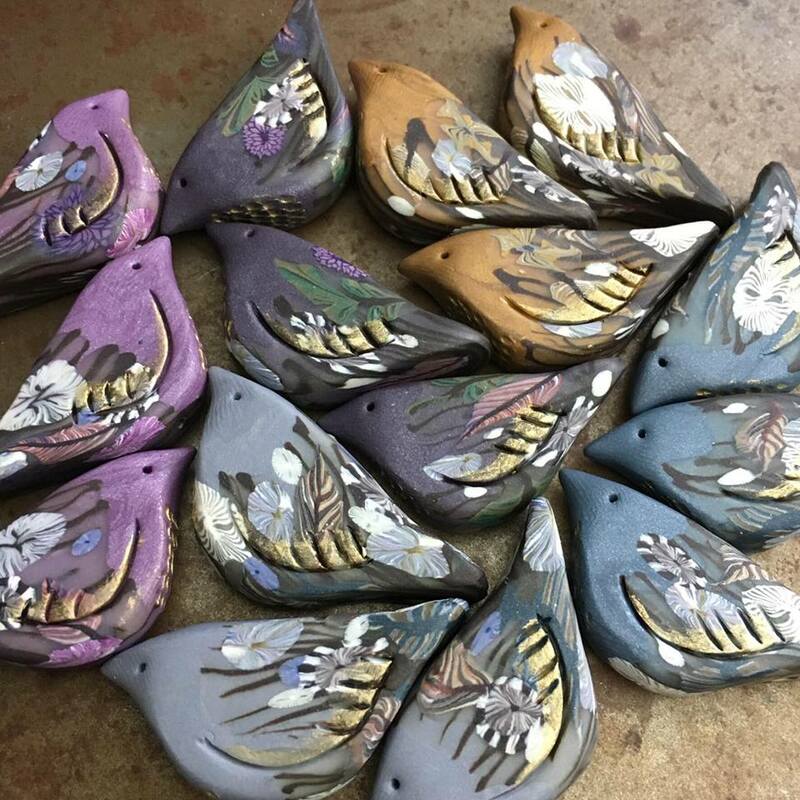 She is the founder of Art Bead Scene, Bead Cruise and Inspired by Nature Retreats. Heather is always creating new and wonderful designs of beads, jewelry components and jewelry. Humblebeads is located in South Haven, Michigan. Heather is donating a $50 gift certificate for the Jewelry Pinterest board winner. Heather is also donating three of her new Gilded Bramble Bird (value $54, shown above) for the Monthly Recap winner. Visit Heather at her blog, Etsy Shop, Bead Shop, Website, Facebook, VIP Party Group and Instagram. Submit photos of your wonderful Jewelry creations using one or more Art Beads here. Submit photos of your wonderful Bead creations here. 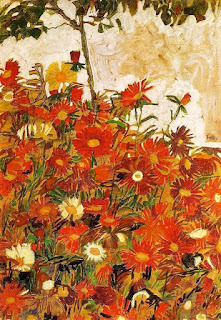 Field of Flowers by By Egon Shiele. This Month's art has many different elements that can be used for inspiration: Flowers, trees, daisies, nature, virbrant reds, yellows and orange. We can't wait to see where your creativity takes you with the art for this month's challenge! **IMPORTANT** Please remember to put JAN ABS in the title or tag of your submission(s). Pinterest doesn't keep Pins in the order they are posted. Provide us with the artist of the Art Beads used and we always love to know all the materials you used.